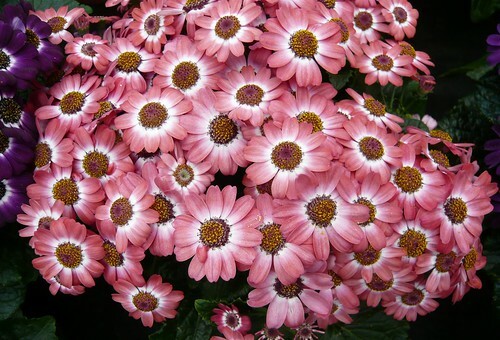 Last year I looked at the naming for one of my good doers under the title ‘Senetti, Cineraria or Senicio? 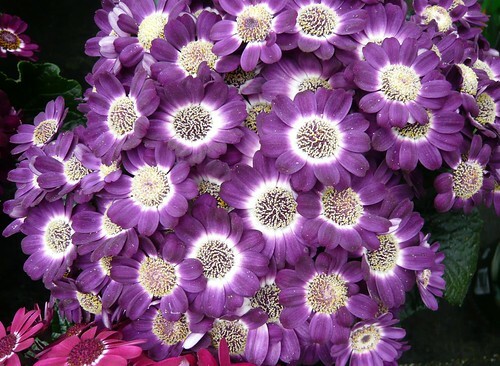 No Pericallis’. 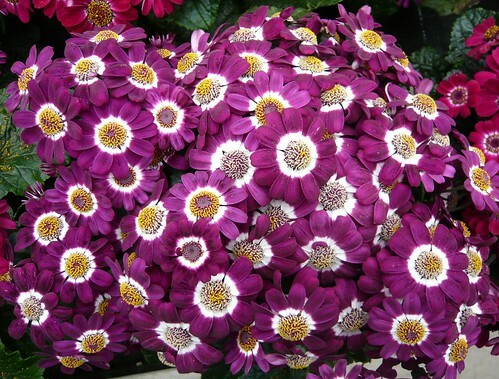 Pericallis is the small genus of Daisy like flowers and Senicio is the name I will use until I know better. I updated the post with my growing and flowering experience. 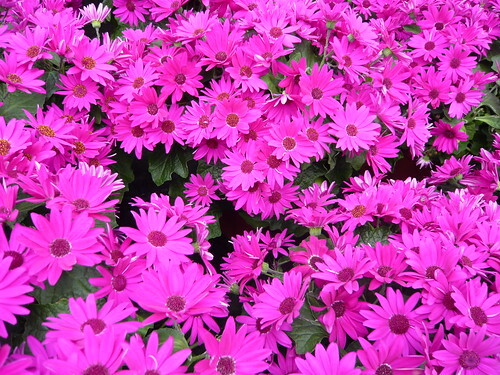 Now I have some colourful photographs of related Daisy plants growing as indoor pot plants. 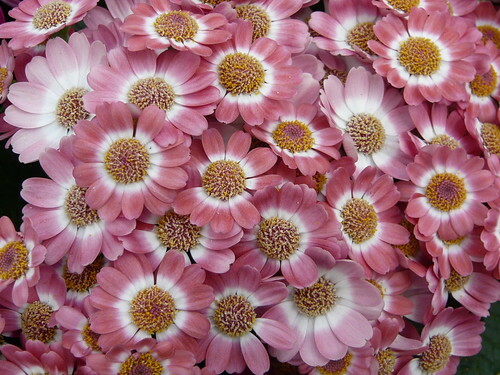 Daisies with salmon petals with white inner rings and yellow pollen are one of my favourites. 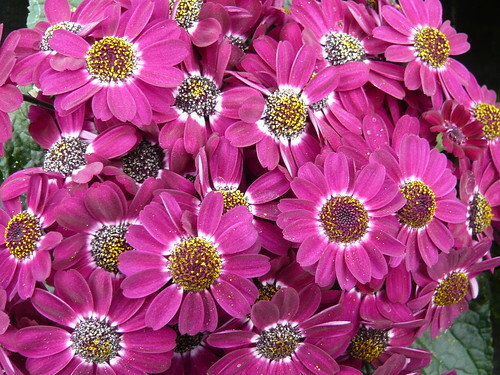 Senicio Daisies come in a variety of strong colours including deep pinks above, purples and electric blues. 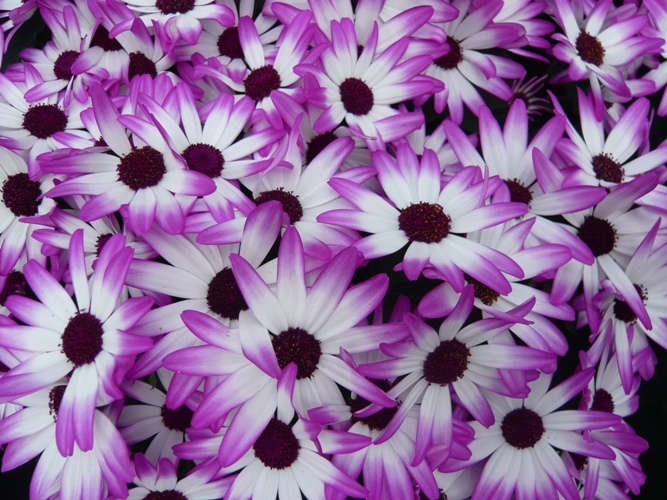 Pericallis is not a common genus in horticultural use. These Daisy like plants have been bred of retail sale when in full flower so in those circumstances they need a trade name. Whatever the name the inner disc displays the Compositae attributes of the daisy family. Shocking Pink almost fluorescent pink on the plant below.